Product and trade name franchising is the licensing of a franchisee or dealer to sell or distribute a specific product using the franchisor’s trademark, trade name, and logo. Product distribution franchising, more properly called traditional franchising, does not as often come to mind when most people think of a franchise but is actually quite a bit bigger in volume than business format franchising. The reason is that the size of each transaction in traditional franchising is significantly larger than most business format franchise sales. What Is a Traditional Franchise? In a traditional franchise, it is the products manufactured or supplied by the franchisor that take center stage, not the franchisor’s system of how the business should be conducted. The manufacturer licenses to the franchisee the right to sell or distribute a specific product using the franchisor’s trademark, trade name, and logo. Whereas in a business format franchise the franchisee’s business is only known by the marks it shares with the franchisor and other franchisees, in a traditional franchise the franchisee is intended to have its own local identity. Traditional franchising is generally found in automobile, truck, mobile home, and farm equipment dealerships; gasoline service stations; automotive accessories; and soda and beer distributors where the franchisee generally is required to provide pre-sale or post-sale services to the franchisor’s manufactured products. The traditional franchisee is generally provided an exclusive territory that limits the number of branded competitors it has for the manufacture’s products in its markets. It is also allocated products by the manufacturer based on performance or other variables. Traditional franchising and supplier-dealer relationships look very much the same. The difference is in the degree of the relationship. In a traditional franchise the franchisee generally only sells the product line provided by a single manufacturer from their business location. But in a supplier-dealer relationship, the dealer may offer a wide variety of products and services, and some of those products will directly compete with each other. How each is known to consumers is also quite different. Even though the traditional franchisee may have its own identity, that identity is still closely tied to the manufacturer’s products and brand. In contrast, in a supplier-dealer relationship, the manufacturer does not license the dealer the right to use its marks to identify its business and the dealer uses its own name and marks in conducting business. Both a traditional franchisee and a dealer will use and display marketing materials and signage provided or sold by the manufacturer. However, in a supplier-dealer relationship, there is no expectation or requirement on how they conduct their businesses (other than as it relates to the products, prescribed warranties, etc. ), and other than the training provided by the manufacturer that may be required for the specific products being sold, the manufacturer generally does not provide any business or other training to its dealers. In a business format franchise, the franchisor licenses to its franchisees its trade name and service marks together with its system for delivering products and services under the franchisor’s brand. The franchisee is known to consumers by the licensed name it shares with the franchisor and the other franchisees in the system. It is the system of delivery that is important in a business format franchise. McDonald’s doesn’t franchise hamburgers, and Midas does not franchise mufflers. 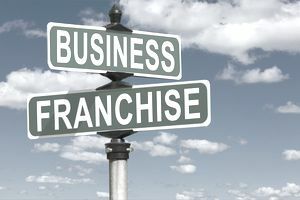 What they franchise is a system that enables the franchisee to offer products and services under the franchisor's brand. In exchange for an initial and continuing fee, the franchisee is expected to execute their independent business in a way that ensures consistency and meets the franchise system’s consumer brand promise. Business format franchisors establish the look and feel of the business. They provide the franchisee with the design and décor for their business, specify the furniture, fixtures, and equipment the franchisee will use. They also approve the site that the franchisee selects, establish and enforce product and service quality standards, provide initial and ongoing training and support, provide manuals with specific requirements and recommendations, determine the POS and IT system the franchisee will use, require that the franchisee use only franchisor-created or approved marketing materials, etc. Even though the franchisor does not participate in the day-to-day management of the franchisee’s business, what the business format franchisor is trying to achieve is a consistent look and feel for each of its locations. Consistent, sustainable replication is the essence of business format franchising. In most instances, the franchisor is not providing the franchisee with any finished manufactured product for them to sell, but will frequently provide them with ingredients and supplies they will use in their businesses. When products are provided by the manufacturer, as in the automotive aftermarket, typically the franchisee will be incorporating those products into the products and service they sell. Think of Colonel Sanders' "11 herbs and spices" at KFC. Business format franchising is the most common type of franchising and is what most people think of when they talk about franchising. It is used by over 120 industries from quick service restaurants, hotels, education, and printing to senior care and medical services.